Now, Airbus Corporate Helicopters makes it possible for clients to customize their helicopter with any amenity they choose. Though helicopters tend to be convenient they have also earned a reputation for being uncomfortable. Airbus, however, wants to provide owners with the option to improve the comfort and style of their aircraft. Airbus Helicopters, formerly known as Eurocopter, is the leading helicopter manufacturing and support company in Europe. Most of its aircraft is used for rescue, utility, or transport, while just a few are employed for racing or exciting recreation. Most helicopters are purchased in business-to-business operations with little distinction between private and business buyers. 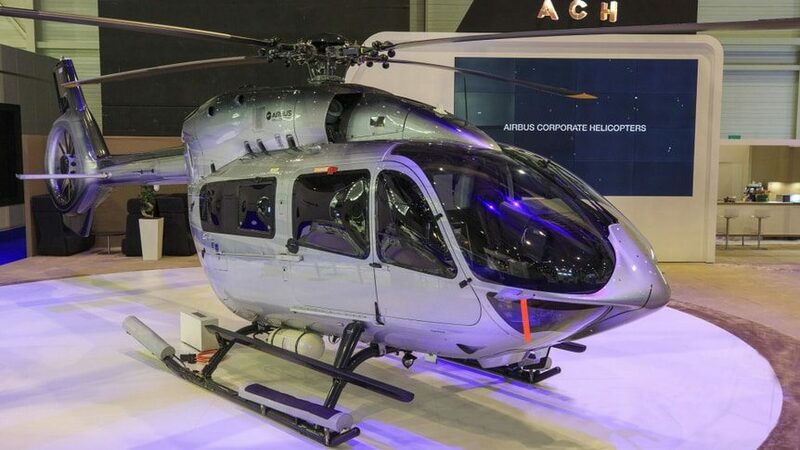 With the launch of Airbus Corporate Helicopters (ACH), corporate and private buyers will be allowed to customize their cabin interiors as well as exteriors. Previously, Airbus customers could choose a predesigned interior from a catalog. Now, ACH will feature three categories, Stylence, Exclusive, and Editions. Stylence, created by the company’s in-house team, is a prefab option, inspired by racing and equipped with a stripe paint job and six leather-seat-and-carpet combinations. Clients may also add additional custom elements. One ACH client wants his helicopter’s flooring to match the decking of his yacht, so the company provided a teakwood equivalent that had the same look and thickness as the flooring used on the yacht. Another client wanted HermÈs leather to be incorporated in certain areas of the cabin, while another wanted to include a clock in the interior design. The ACH Exclusive can also be equipped with enhanced sound-proofing, double-glazed windows, electrical footsteps, reclining armchairs, ambient lighting, and Bluetooth technology. Editions, intended for special-edition helicopters designed with external brands and designers. One example was the ACH145 Mercedes-Benz Style, which featured silver-arrow paint job, an aerodynamic-looking front end, and restyled landing gear. Airbus will begin delivering the ACH145, ACH130, ACH135, and the new ACH160 next year. Airbus Corporate Jets, founded in 1997 to afford business-jet clients with specialized service, has expanded as a result of the introduction of ACH. Now, Airbus will officially be the only aircraft manufacturer with private and business brands for jets and helicopters. Call FairLifts Today at 1-800-318-8940 to Learn More About Customized Airbus Corporate Helicopters!